CORNELIA, whom they called ’Kee’. (Oma van Maris-Krijnen talked about her ’Tante Keetje’. JOHANNES, 8th September, 1857 and died 1 month later. 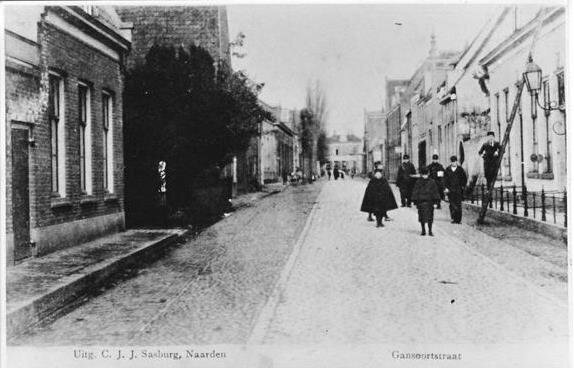 The children attended the local school of Naarden in Schoolstreet, ( then called Pastoor street) The school was build in 1828 and in desperate need of repair. ‘Why, even the walls had tears in them’. There were 225 children divided into two classrooms where they sat amphitheatre style on tiered wooden seating. The rooms, bare of curtains or blinds, had the sun streaming in and on such days the wooden shutters were closed to reduce the glare. The street was used as their playground and the council pump quenched their thirst. All was taken in their stride as the Krijnen children worked industriously at their lessons to be applied later in live. Klaasje later let it be known that the teacher brought his baby to class, in a basket.- Festivals and festivities were common. The family would join other citizens of Naarden to celebrate King William III birthday. On market day, the local cow market was a highlight. One time an American circus came to town with its parade of circus horses and unfamiliar wild animals which fascinated the children. Off course, there was the obligatory fair in Naarden. Each year the family attended the fair, called a ‘kermis’, with its accompanying sideshows, despite the cost. Father Harmen had a way! - Across the Gansoord street from the farm house lived a solicitor called De Roeper, who from his home office window looked at an assortment od farm refuse, namely a compost heap. Which he couldn’bear. Instead of complaining, he rented this tiny piece of land and employed a gardener tot transform it. It became a thing of beauty, statue and all. Locals called it ‘Roepers’ garden. Father Harmen carefully saved the rent in a moneybox until the ‘kermis’ came tot town.
. Three of Harmen’s children married offsprings of William De Gooijer, who had a farm in Bussummer street, and 5 of Harmen’s children remained in the local area, also on farms. - KEE (the first born) married in May 1877 to HENDRIK (HEIN) DE GOOIJER and lived in a boerderij on the corner of Raadhuis street / Duivensteeg . Hein was locally know as ‘Hein de BULLENBOER’ (the bull farmer) Besides owning cows, HE OWNED A BULL! When summer came, Hein and his bull would walk through the meadows of Naarden announcing his coming by blowing on a large steer horn., and like Pied Piper, children gleefully followed. If it was winter the cows were brought home to his boerderij. Often Hein had to give the bull a helping hand to the hilarious merriment of the local lads who peered through the cracks of the paling fence and closely watched the event.- IN their last years Kee and Hein were cared for by their spinster daughters who inherited the now aging farm after their parents death. However the sisters continued to milk the cows and earned their living by selling milk door to door as vendors. This continued till the Naarden council bought and closed the boerderij in 1940. - JACOB (the 2nd born) married in May 1877 to JOHANNA HANOU. They settled in the Regenboogstraat (Rainbow street) at number 403a. This is now the corner house of Wuyvert staeet number 9. 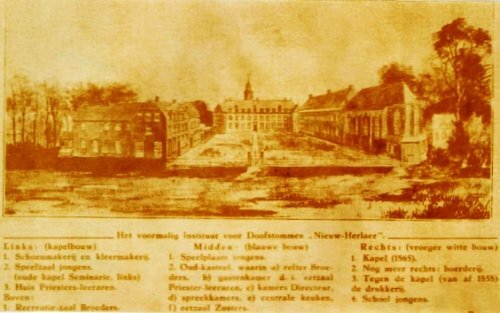 Later they moved to a boerderij at 199 Bussummer street (which is now replaced by a pre-school), and again they moved to a boerderij on the corner of Peperstraat ( street) and Beijert wich bordered Promers square. - In 1903 Jacob and Johanna celebrated their 25th (Silver) wedding anniversary at which a photo was taken of the now eternalised members. They died around 1923. The family business was taken over by Jacob junior. - Six years later in 1929 a fierce fire erupted in an adjacent feed storage lot. All Jacob’s cows were immediately brought to safety and the boerderij was spared but suffered a lot of smoke and water damage. Jacob junior had enough and auctioned the place to demolihers who sold to BERTUS, brother of Jacob. 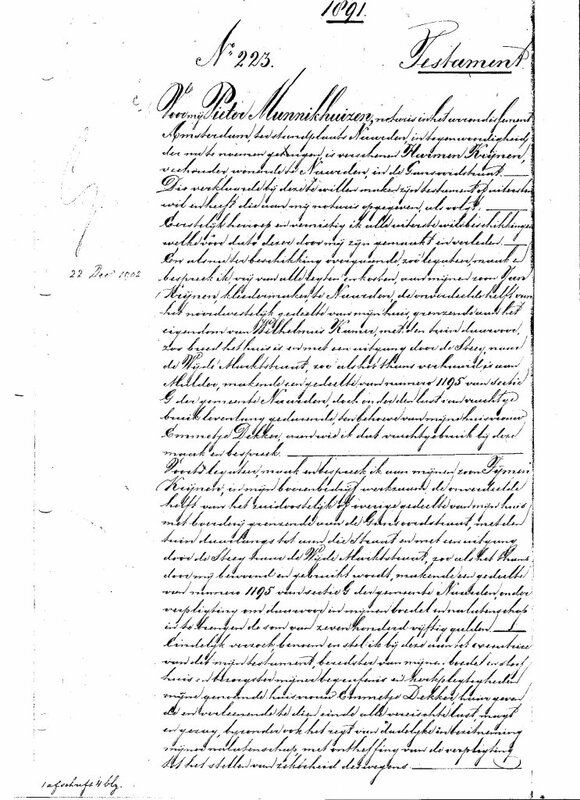 - LAMBERT, the 3nd born, married in May 1881 AALTJE DE GOOIJER (Sister of Hein) They settled in the St. Vitus street at number 127 ( now between number 35 and the corner house of Wijdesteeg situated between number) Later they moved to a boerderij in Gansoord street which bordered Raadhuis street and next tot the Synagogue.- Soon after the move Lambert met with a ‘hay’ accident. He had loading the hay wagon and weighed the hay down with a pole. He hoisted the pulley pole on top of this straining tot lash it down when the pole snapped and cracked Lambert on his head resulting in part paralysis. From then on brave Lambert was seen doing his shed work tending his cows, and moving around by crawling on his knees.- He passed away in 1899, at the age of 43 from a brain tumor. Lambert had a fear of being buried alive and requested that he be in the top coffin if a stack of them were being buried at the same time. The local story goes:- ‘In Naarden during an epidemic dead people were speedily buried in a mass grave to prevent the spread of the disease. At midnight a man awoke, found he was in the top coffin and was able to worm himself out of the grave. He walked home and found the door locked so he sat on the front step of his house till morning’.- Aaltje bought the boerderij in 1903 for 3200 guilders, and continued to farm with the help of her youngest sons. In 1904 fire erupted in a shop in Raadhuis street which rapidly spread and burned down both the house and shed. The Krijnen strenght soared!- Aaltje built a new boerderij! 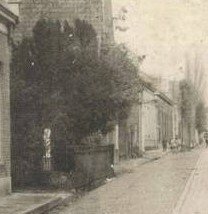 To this day the house still stands at 15 Gansoord street.- Aaltje died in 1917 after falling from the cellar steps. Jacob Hz. Krijnen en Johanna Hanou in 1903. 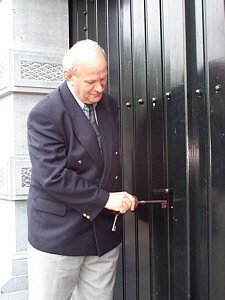 Jan Krijnen (ome Jan de kleermaker) bracht zijn jeugd door te Sint Michielsgestel in het . Doveninstituut. Daar leerde hij het kleermakersvak.